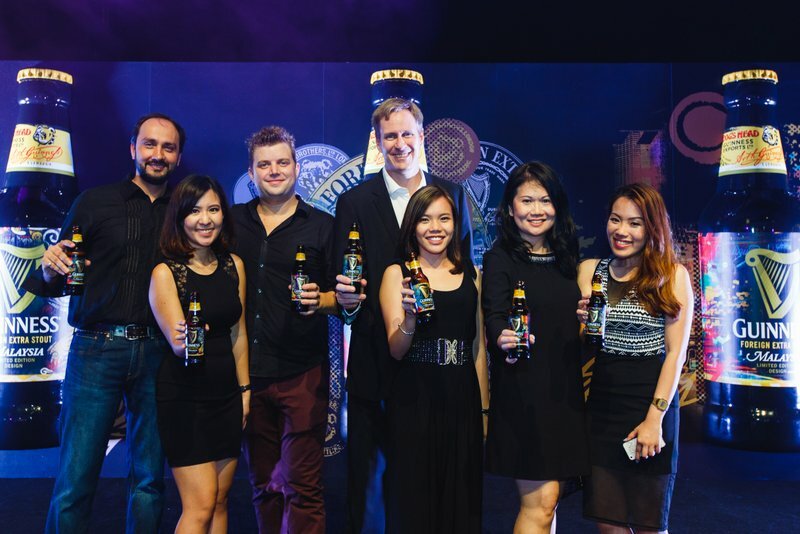 GUINNESS®, Malaysia’s favourite black brew, unveiled three limited-edition designs for its Foreign Extra Stout bottles and cans tonight at a spectacular launch event at the Intermark Hotel, Kuala Lumpur. 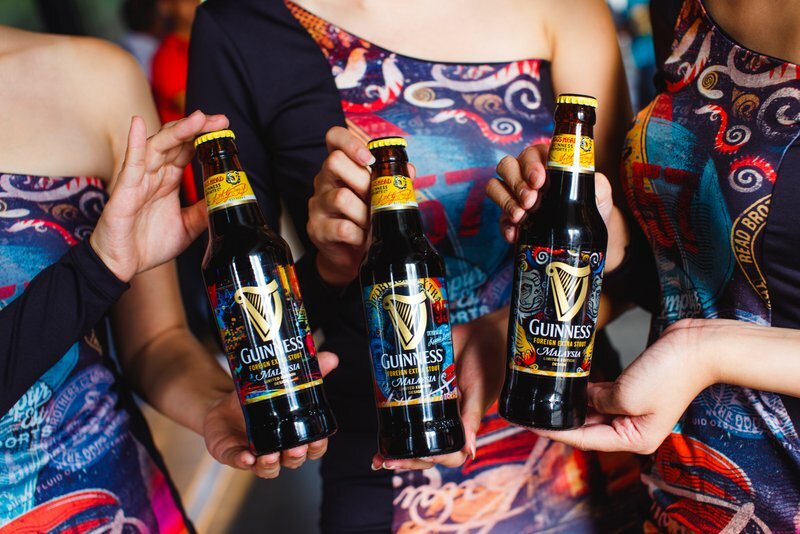 The designs, which have been created specifically for the Malaysian market, are part of the celebrations marking 50 years of GUINNESS® being brewed in Malaysia. The three limited-edition designs, which will be available while stocks last between now and November, are a marked departure from the brand’s iconic black and gold visuals. Each one is bursting with vibrant colours and intricate patterns, inspired by the wealth of history and culture Malaysia has to offer. What hasn’t changed, however, is the glorious GUINNESS® inside – it’s still the exact same formula that Malaysians have known and loved for all these years. Each limited-edition design represents a distinct era in Malaysia’s journey – stretching back to our tribal roots, through to the age of independence, leading into the modern day and looking ahead to the future. The new limited-edition designs have not only been inspired by Malaysia; they have been created for Malaysians, by Malaysians. Behind the designs are five luminaries of the Malaysian creative scene, who came together to explore the concepts of history, identity, and culture which have informed the new limited-edition looks. Representing a range of creative disciplines, the ‘Creative Council’ comprised of musician Edwin Raj (frontman of local band They Will Kill Us All), artist Donald Abraham, film director James Lee, graphic artist Lefty (Julian Kam), and photographer Vincent Paul Yong. “It’s not every day you get to have that kind of creative energy in a room” added Lefty. The limited-edition bottle designs mark 50 years since the first locally-brewed GUINNESS® left the brewery at Sungei Way, the location where it is still brewed today. Always a firm favourite with the Malaysian market, GUINNESS® remains the best-selling stout in the country. 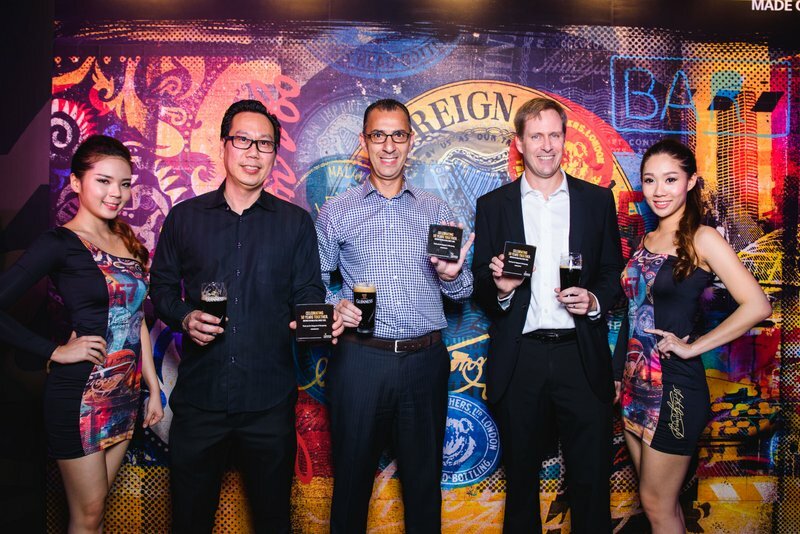 Malaysian-brewed GUINNESS® has been previously recognized as the best in the world, beating more than 50 breweries worldwide to win the coveted “GUINNESS® League of Excellence” award five years in a row. The three collectable limited-edition designs will appear on all bottles (325ml and 640ml) and cans (320ml) of GUINNESS® Foreign Extra Stout sold in Malaysia from now until November, while stocks last. 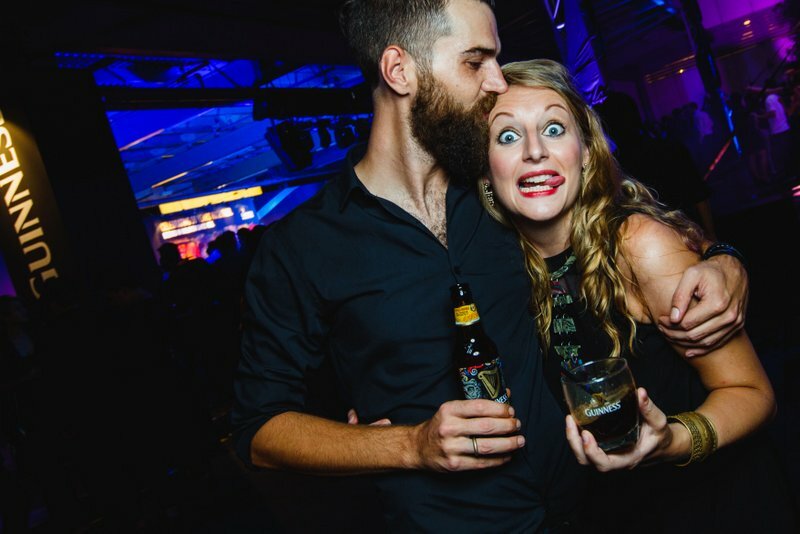 For more information, visit the GUINNESS® Facebook page at https://www.facebook.com/guinnessmalaysia, or search for the hashtag #GUINNESSMY50. This entry was posted in News and tagged guinness by TheGoodGoodGuy. Bookmark the permalink.